Petra searches for her sister in ELENA, the film. But not all her journey fits in the documentary. Many of the paths and shortcuts she took, landscapes and mazes she found and the discoveries she made you will only find here, in these short films: voices, images and dances combined in memories from her childhood , adolescence, career, family, friends and colleagues. More of the poetry behind the meeting of these two sisters is in the DVD, including 12 additional short films and an extra one about the process of making the film. An Ophelia goes deep in her thoughts, dreams and challenges of coming of age. A clip based in the phrase “You touch me, I turn to water” by Guimarães Rosa, an important Brazilian writer who influenced Elena in her acting, inspired Petra to draw a link with Shakespeare’s Ophelia in the film and was adapted by Maggie Clifford into her song for the movie. Ophelias floating in the water: Petra in search of her sister along with so many other young women in their journey to “becoming a woman.” A clip of poetic images of water and women floating in it. Petra’s first memory of Elena. Images and sensations liquefying in a come and go of waves and feelings: the fear of the ocean, the protection of her sister, the storm, the lulling, the confronting, and the rite of Yemanja’s celebration – goddess of the sea in African mythology – celebrated on Brazilian beaches. Petra plunges into herself and follows clues to search for Elena. In a diary by a Japanese man she finds one of the last sights of Elena: A princess? A mysterious woman? A hurried actress? A scared young lady? The friend writes in his diary about a trivial day he went to watch a movie with Elena, and Petra narrates her encounter with this diary 20 years later. Elena was born and spent her early years hiding during the Brazilian military dictatorship. The militant youth of her parents, facts of Brazilian history and memories of little Elena, who was playing, cooling off in the pool, climbing trees and seeking refuge underground with her parents. Transitions of Elena: from childhood to adolescence, from only child to Petra’s older sister, from dictatorship to democracy ,and her time in the U.S. as an exchange student. VHS recordings of her family, Elena’s diaries in K7 tapes and emotional testimonies by those who were part of Elena’s life at this time. Elena did not give herself time to see where her career would go. The possibilities were left unfulfilled. An example of Elena’s pursuit of a career in the US: the record of Elena’s interview at a New York casting agency that a friend kept for many years. “Elena’s professional defining moment. “Boi Voador” was the theater group in which Elena took part and where her career began to gain prominence. Archival footage and testimonies from members of the group – today’s renowned Brazilian artists – talking about Elena’s talent, determination, grace, beauty, rebellion, perseverance, restlessness, peculiarity, self-criticism, charisma, magnetism, need, creativity, suffering and sweetness. The dance is part of Elena, be it in her melancholic steps, or her stride towards a dance course in Hungary: radiantly hoping, bouncing, dancing as remembered by her friend and travel companion and images from a video found later. The mother’s relationship with Elena: identification, estrangement, education, guilt, pain, love. The time that goes by in feelings that stay. The father’s relationship with Elena: he unearths the longings and memories and also unearths the ashes of Elena, spreading them among the colorful flowers in a beautiful and bucolic landscape. Medley of recordings and Elena’s movements: her gestures , her dancing steps, her spins, her flips and bouncings, her swinging, her dance! The memories of the process of making of ELENA. The voices of Petra and members of the team (co-scriptwriter, editors, art director and consultant) telling about the construction of the film: the first inspirations, the beginning of the work, the transformation of the narrative and the transformations experienced by those creating the film. The female staff talking about the depth and tenderness of the “come-to-be-movie” of ELENA. On this Tuesday, September 9, ELENA – a film by Petra Costa – will be made available in the main online platforms and websites. It can be purchased on iTunes (only in the USA and Canada stores), on Vimeo (streaming and purchase as well), VHX and on Xbox Video (only as a rental copy). Due to our commerical agreements with theses companies, ELENA will be available only for users in Canada, the United States, New Zealand and Australia. ELENA’s DVD, which will also start selling today, can be found on Amazon. Coming with two discs, it will show both the film and 13 short clips covering around 120 minutes of extra footage showing Elena Andrade’s artistic past, her relationship with her friends and family and the making off process of ELENA. In Brazil, the DVD was launched by Instituto Moreira Salles (IMS) in June 2014. It comes with a bonus copy of Petra’s other short film, Undertow Eyes (2009). The short is a poetic depiction of love and of the coming of age told by Petra’s grandparents. The film has been shown in many festivals around the world and it received important prizes in nine of them – including Best Short Film Picture at Rio’s International Film Festival and London’s International Documentary Festival (LIDF). It also won Best Short Documentary at the International Cine Las Americas Festival (USA), and a prize at the Gramado Festival (Brazil). Elena premiered in Brazil in may 2013. With almost 60 thousand viewers, it quickly became the most watched documentary film in the country on that year. In the USA, the film opened a year later at the IFC Center, in New York City, and it has also been shown in places such as Los Angeles, Ohio, Seattle and Miami. In Canada it has been screened in both Vancouver, Toronto and Edmonton. It’s been a relatively good summer for movies, but as we enter fall it’s time to take a look at some films that are available on video on demand platforms this September. Brazilian documentary “Elena” represents director Petra Costa’s spiritual search for her older sister, an aspiring actress who fled Brazil’s military junta (1964-85) when Petra was only 7-years-old in order to live out her dreams in New York City. Addressing her personal subject with recrimination and visual virtuosity, Costa’s first feature length film is a elegiac dreamscape in which the director attempts to find Elena in New York City while piecing together a limited number of home movies, diary entries and newspaper clippings in order to learn more about her. Punctuated with bold images and poetic symbols, “Elena” is not a conventional documentary in any sense, and the more Costa allows the fractured lives of herself and her sister to meld, the more fluid the story becomes as a powerful meditation on time, sisterhood, identity and forgiveness. I’m not sure whether ELENA falls more into the camp of art or art therapy. addressing the tragic issue of major depression and suicide – as it has impacted her own family – Petra Costa’s feature is a strikingly lyrical visual poem, blending freshly shot, surreal material with family home movies and low-resolution archival videos. The filmmaker’s narration is a wispy open letter read together late sister Elena Costa, a Brazilian stage actress and occasional model. Both Petra and Elena were daughters of a pair of card-carrying 1960s Brazilian communists, and, like a lot of things on the political Left, the marriage failed. This seemed to wound Elena most deeply, and she withdrew into performance, earning media notices at home for her theater work. Elena made the decision to relocate to New York City for further theatrical studies and serious pursuit of her acting/modeling career. But after some initial excitement, in which the highlight was meeting Francis Ford Coppola shooting THE GODFATHER PART III (bad sign right there), nothing much developed in Elena’s NYC career. The girl battled seesawing weight and mood swings and drug/alcohol abuse. Petra and their mother eventually joined Elena in the Big Apple, but the older sister’s emotional decline was irreversible. Late in the film Petra reveals that a history of suicidal depression runs in the female side of her family, along with a jones for acting, art and film as a form of escape/release. Though…it’s a pretty ineffective self-medication, if you ask me, given how much the arbitrary ups and downs of showbiz seemed to play a negative role in Elena’s fate. Maybe Robin Williams’ too; of course that’s just my bitterness surfacing. Petra Costa was born in Belo Horizonte, Brazil. Her mother always told her she could do anything she wanted, except acting, and that she could live anywhere she wanted, except New York. Costa began acting at fifteen. She studied anthropology and theatre at New York’s Columbia University. Elena, Costa’s heartbreaking and gorgeous feature debut, begins with woozy nocturnal views of New York. Over these images we hear Costa’s voice. “Elena,” she says, “I had a dream of you last night…” In this dream Elena, Costa’s sister, is atop a wall, tangled in electrical wires. But soon the one being dreamed of becomes confused with the dreamer. It is the dreamer who is now atop the wall. She touches the wires, receives a shock, falls, and dies. This is the story of two women, one an elusive ghost, the other trying to find this ghost, to know her—and, for a long time, very much in danger of becoming her. (Make that three women: Costa’s mother also plays a pivotal role in the lives of both Elena and Petra, and in the narrative conveyed in this film.) Elena is a lyrical memoir of devastating loss and fortifying self-knowledge. Elena was Costa’s big sister, already entering her early teens when Costa was born. Elena wanted to act and sing, to live only for art, but also to go beyond the theatre and break into movies. She moved to New York to realize this. But Elena’s promise was thwarted by her own paralyzing despair and unreasonable expectations and prescription drugs. Petra, too, would grow up to act, sing, make art, go to New York, all the while struggling not to succumb to precisely the same demons that consumed her sister. Elena received her first camcorder at 13 and, out of her desire to hone her creativity, and out of her perfectly healthy, even endearing adolescent vanity, immediately set about creating a trove of home movies—movies that, unbeknownst to her, would, along with other remarkable archival materials, become the foundation of this film haunted by her and named in her memory. Costa weaves together all this found footage with her own beguiling, at times astonishing images of water and drifting female bodies resembling Ophelia multiplied; of herself looking lost in a vast city; of interviews with those closest to Elena; and with the poignant use of the Mamas and the Papas’ ‘Dedicated to the One I Love.’ Occasionally these sequences overreach in their desire to attain poetics and meaningful gesture, but what could be better to desire? Elena is drenched in much sadness. It’s an abyss of grief and terror alleviated only by mere hints at self-realization (the biggest of those hints being the very existence of this film), but it also flows with tremendous beauty—beauty and fluidity are Costa’s key sources of consolation. The film is so intrinsically personal that it’s difficult to imagine what Costa might do next, but I can’t wait to find out. On August 13, Brazilian historian Nicolau Sevcenko died at the age of 61 of a heart attack. Sevcenko was at home in São Paulo when it happened. A professor at Universidade de São Paulo (USP) and Harvard University, Sevcenko specialised in social and cultural History. He also taught at the London university, where he also got his post-doc from. A descendant of Ucranians, Sevcenko was considered to be a disciple of Sergio Buarque de Hollanda (1902 – 1982), one of Brazil’s most respected scholars responsible for writingRaízes do Brasil. In 1999 Sevcenko, who also worked as a translator and writer, won the Brazilian Jabuti Prize for his bookHistória da vida privada no Brasil. He was also an editor at Folha de S. Paulo, a Brazilian newspaper. 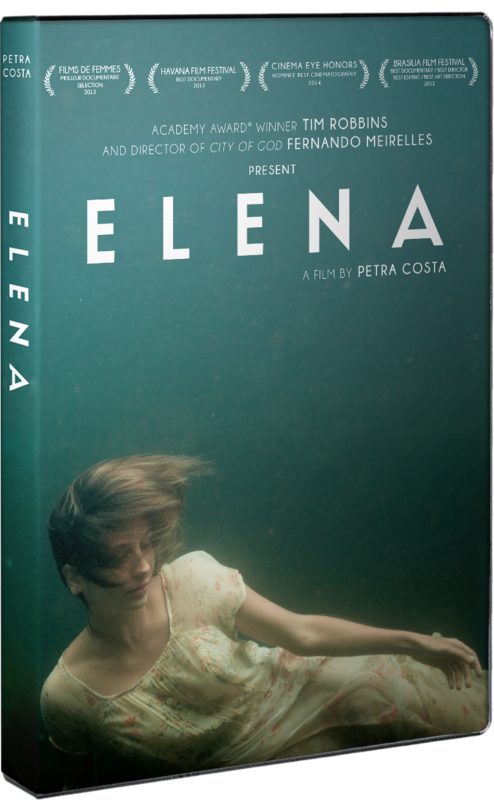 “Elena, I had a dream about you last night,” Petra Costa, the woman who created the ultra-personal tribute to her dead sister that is Elena, says in the first lines of her film. It’s a perfectly apt way to introduce a film that’s as dreamlike as the very memories we hold of those dearest to us that have passed on, but everything becomes more real as the minutes flow by. Blending audio and video recordings of her sister, deeply personal interviews with her mother, and entrancing footage of herself retracing the steps of her sister through New York, Costa crafts a touching tribute to the sister whose memory she so desperately longs to keep alive. The first film that may enter the minds of many who are familiar with modern documentaries when reading that description is Sarah Polley’s Stories We Tell, which shares a lot of stylistic relation with Elena. It’s easy to argue that Costa has a firmer grasp on exactly the kind of somber mood she wants her film to instill in its audience. This isn’t to say that she isn’t occasionally self-indulgent to a fault; some close-ups of herself and strangers making the film come off more unpolished and aimless than it really is. At 80 minutes, though, it’s a work that’s tough to grow tired of, although the same qualities it possesses that appeal to some will undoubtedly frustrate others. Regardless, it’s a documentary that shows a level of audiovisual understanding to establish a wistful atmosphere that is hard to find in an up-and-coming director. Sound plays a massive role in Elena, with Costa’s own narration being the primary form of plot progression, if one can even describe it as such. Musical accompaniment works both ways in the film, with Vitor Araujo’s brilliant recurring piece of music, “Valsa Pra Lua,” accompanying some of the most poignant scenes, while the Mamas and the Papas’ “Dedicated to the One I Love” coming off almost too on-the-nose, despite its sweet sentiment. But it’s the scenes that utilize silence and simple narration that prove its best. Fictionalized portraits of depression so rarely capture the pain that those who live with it suffer through, and much less that of those who are left to mourn. By placing a heart-wrenching reading of her sister’s suicide note, along with photographs of the autopsy report, the filmmaker delivers some of the film’s harshest blows. But Costa isn’t solely dedicated to telling the story of her sister’s depression and death. 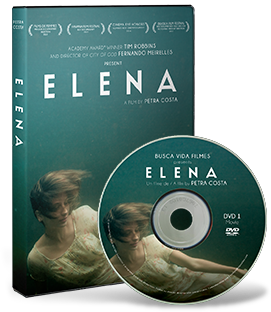 In great part, Elena is a work of self-exploration and how fulfilling it can be to make the most abstract memories concrete. “Memories go with time, they fade,” the film says. “But some find no solace, just bits of relief in the small openings of poetry. You are my inconsolable memory made of shadow and stone. And it is from this that all is born and dances.” It’s the bits of dialogue like this that resonate deeply with the message that Petra Costa is getting across. Elena is not solely the sister she lost, she is an essential piece of the woman that Costa has become. Even with the pain that comes with loss, she’s grateful for the moments she had with her sister. In many ways, Elena is as much a letter of thanks as it is a love letter to a woman she misses. Elena will be playing at the Miami Beach Cinematheque on Monday, August 18th, at 7 p.m. as part of the 18th Brazilian Film Festival of Miami. Tickets cost $11, with discounts for members, seniors, and students. Visit mbcinema.com or brazilianfilmfestival.com. The tale at the heart of this documentary is simple and not uncommon. A young woman goes to New York to become a star, and instead finds an unhappy ending. This was the story of Elena Andrade, adored older sister of the director of this poetic and very personal film debut. The narrative of her disappearance, first from Brazil and then from life, is so close to Petra Costa that she can find its threads simply by looking inward. Elena is at once a portrait, an autobiography and a history of family trauma. Most of the film is addressed to the vanished sibling, who left Brazil in 1990 to study theatre and dance in New York. Costa had been speaking silently to her dead sister for a decade before she went to New York to visit the scenes of the disaster. Her gentle monotone voiceover feels at times like an obsessive mental track made audible. It’s also partly a speech into a mirror. The sisters look alike and approach life with similar intensity. Costa revels in the similarities, which may owe something to emulation. Survivor guilt is a huge theme, both for Costa and her mother. In the opening scene, as Costa’s taxi drives through a darkened New York, she recounts a dream in which she and not Elena is the one who dies. Mother and daughter act out their baffling survivor-hood on the streets of the city, going to the walk-up apartment where they and Elena lived. Documentary is often a search for causes and explanations, and there is some of that in Elena. Elena’s letters and diaries show her swinging between optimistic hyperactivity and despondency; after her first return to Brazil, she is treated with lithium. Costa and her mother both describe their own experiences of depression, but the filmmaker doesn’t pursue the genetic clue. She doesn’t probe the full meaning of Elena’s diary comment: “I’ll degrade myself and go down this drain.” Nor, with one exception, does Costa interview anyone outside the family who knew her sister, in Brazil or New York. A streak of fatalism runs through her narration and monologue, as if the tragedy happened mainly because it was destined to do so. Costa is less concerned with specific causes than with effects – with what happened to Elena’s mind and body when her dream failed to come true, and to the family during her decline and after her death. The consequences aren’t entirely dark. Costa also finds pleasure in communing with her sister, in finding her in home movies (too often, perhaps) and seeing her traces in the mirror. This film is an elegy, but it’s also a sign that the link between the sisters is unbroken, and that in death they were not divided. The final images celebrate a vision of sisterhood that also encompasses surrender and extinction – all the themes of the film merged into one visual metaphor.